When I'm on the run I try to always have something gluten free in my purse to snack on. I carry granola bars probably more than anything else because they are so portable and filling. Keep reading to see more #glutenfree snack ideas from me and my friends in the comments! Slice banana into thin chips, dip in lemon juice, and spread on a cookie sheet. Bake for 2 hours @ 200 degrees and flip. Bake for another 1.5-2 hours or until crisp. Yogurt cups or I make my own plain Greek yogurt with Stevia. This is my favorite go-to breakfast! Two slices of thinly sliced turkey, a little mustard and a stick of cheese rolled up. What's your favorite gluten-free snack? 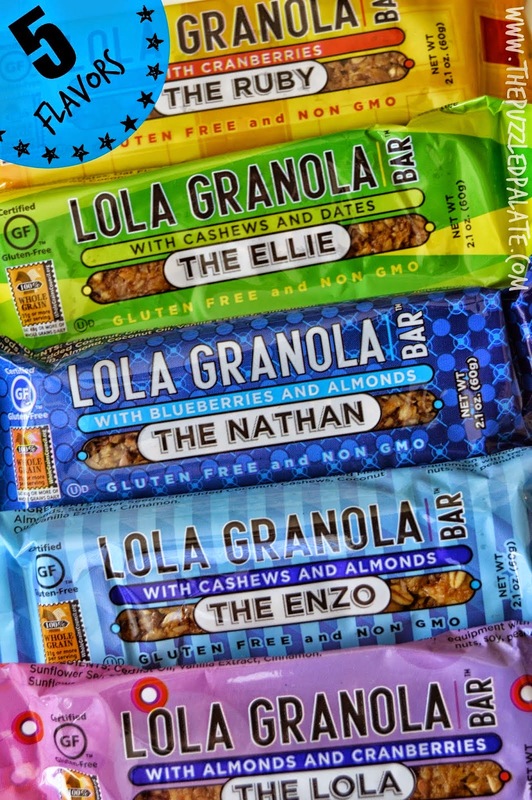 Enter now to win a Lola Granola Bar sampler package worth over $20.00! I love that these Lola Granola Bars are certified Gluten Free, made with whole grains, and non-GMO. You can buy Lola Granola Bars online at Amazon and save with the subscribe and save discount too! affiliate link. I haven't tried these bars yet and I'm not receiving any compensation for this promotion. Go see Carly's review of these bars on The Puzzled Palate! I saw these bars the other day in a store, but didn't get them! My go-to snacks though are raw nuts, apples, and raw crunchy veggies like snap peas and carrots! Hi Rebecca, I always carry almonds too! Hope you win! I love natural almonds mixed with dried cranberries. We also do a lot of baby carrots and hummus. Callahan4021, when we go to the beach I always take fruit, crackers and cheese, but I didn't think of nut butter. That's genius! I love to take along fresh fruit or nuts if I plan ahead, but I usually have a Larabar in my purse because it is easy. This time of year means a huge batch of homemade Chex mix, so that will be my go-to snack for the next few weeks. My own "gorp" or granola is a healthy treat to bring along for travel. I'm also big on LUNA bars and/or ZonePerfect bars, because they make my life easier!! Hi Andrea, I adore making granola too and eat it every day! We love making our homemade pop corn for road trips. It works great. Hi my friend, what toppings do you like for pop corn? Want to leave us a link? btw, readers? 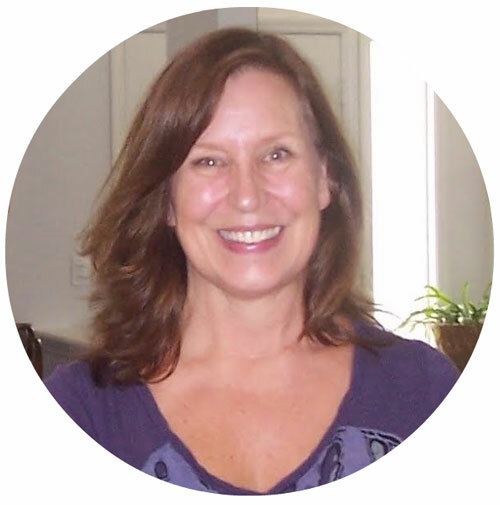 Adrienne has great recipes on her site!